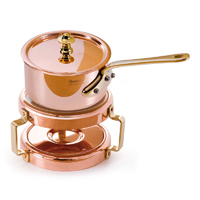 Mauviel French Cookware is the copper standard for professional chefs and serious home chefs. 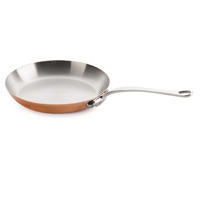 Click here to compare Mauviel cookware styles. 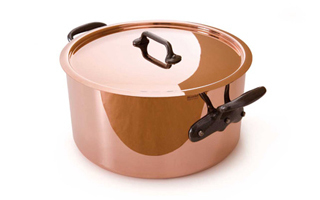 The standard for professional chefs and serious amateur cooks, Mauviel Cuprinox or M'Heritage cookware features a thick 2.5mm copper exterior, an easy-to-clean stainless interior, and sturdy, cast-iron handles. Made in France. 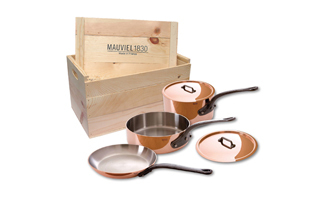 Mauviel Mauviel M'150S cookware features a lighter, 1.5mm copper exterior with an easy-to-clean stainless interior. 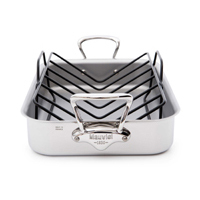 Stainless-steel handles and splayed sides make for easier pouring and serving. 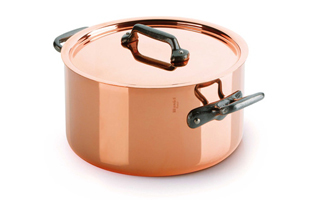 Mauviel M'150C2 cookware has the traditional look of copper cookware but with a thickness that most home chefs prefer for faster, more easily controlled heating. 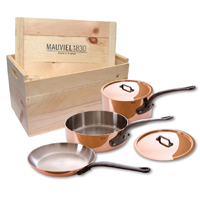 Mauviel copper cookware sets are a great way to have a complete selection of copper pots and pans. Select from Mauviel Cuprinox, M'heritage, or Pour la Table. 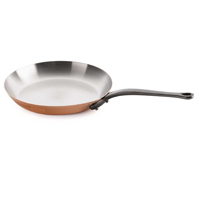 Buying a cookware set will save you about 20% as compared to purchasing individual cookware pieces. 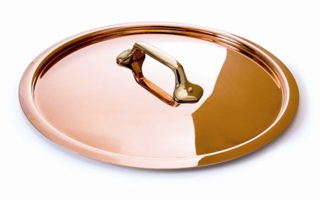 Mauviel's specialty items have cooking surfaces of copper, copper lined with tin, copper lined with stainless. 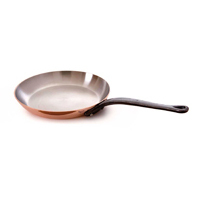 This unique selection of Mauviel French cookware includes tarte tatin pans, hammered stock pots, crepe pans, and more. These items also known as M'Passion, M'Heritage and M'tradition. 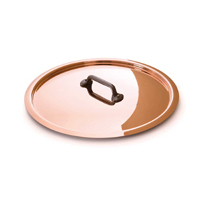 Metrokitchen.com has a complete selection of copper lids to fit your Mauviel copper cookware. 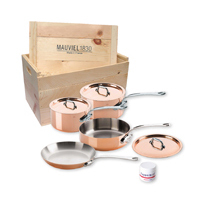 The Mauviel M'cook Stainless, 5-Ply cookware made in France is constructed for perfect heat conductivity. 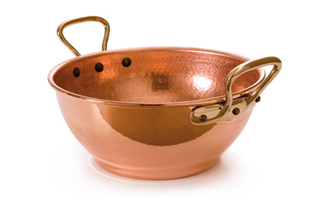 Not sure which style of Mauviel copper cookware to buy? 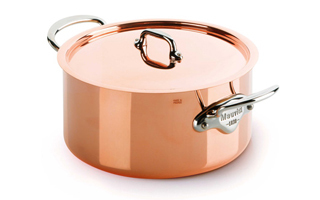 Use our Mauviel cookware comparison guide to help you decide which style or type of Mauviel cookware you desire.